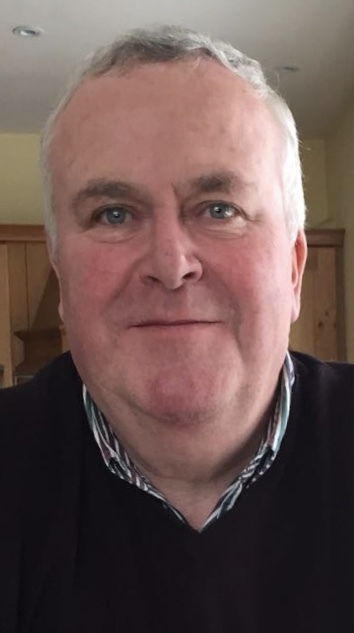 KEARNS, Gregory (Willow Grove, Delgany, Co. Wicklow) – April 6, 2018 (suddenly), at his home, beloved son of the late Tommy and Baby Kearns and brother of the late Shelia; remembered with love by his wife Susan, children Alan and Natalie, grandson Alex, sisters Eileen and Helena, brothers Dermot and Malachy, daughter-in-law Eva, nieces, nephews, extended family and friends. Reposing at his home on Wednesday evening, 11th April, from 7pm to 9pm. Funeral Mass on Thursday, April 12, at 10 o’c. in St. Patrick’s Church, Kilquade, Co. Wicklow followed by cremation at 1 o’c. in the Victorian Chapel Mount Jerome Crematorium, Harold’s Cross, Dublin 6w. No flowers, please, donations, if desired, to Kilmacanogue First Responders, donation box provided.